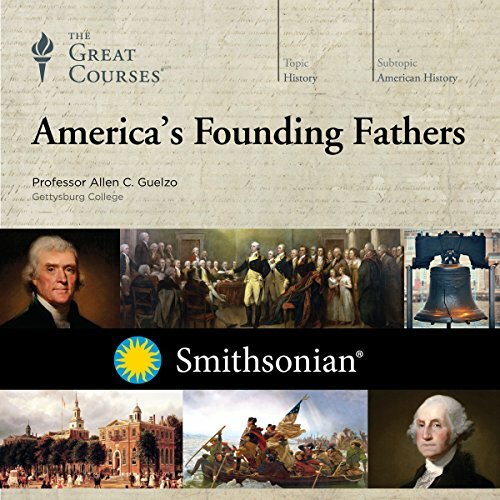 In collaboration with Smithsonian, these 36 lectures are a deep dive into the creation of the US Constitution as it actually happened - and the remarkable men who played their own unique role in the creation (and survival) of American democracy. Designed to be enjoyed in chronological order, they take you from the closing days of the American Revolution to the opening decades of the United States under the newly created US Constitution. Told like a dramatic story, each lecture uses a Founder as a doorway through which to examine the process involved in crafting the Constitution. You'll encounter fresh perspectives on familiar Founders including George Washington, Thomas Jefferson, James Madison, and Alexander Hamilton, as well as people not necessarily considered Founders, including James McHenry, Secretary of War under John Adams; and Alexis de Tocqueville, author of the insightful Democracy in America. While detailed, the lectures are highly accessible for all learners, high school students and history buffs alike. 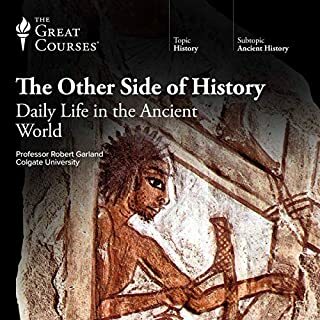 Less a biography of individuals, Professor Guelzo's lectures are instead a composite biography of one of the greatest political documents in history. This is a fascinating lecture series, even for someone like me with a deep if amateurish knowledge of the revolutionary and early republic period. The particular strength of these lectures is Guelzo's lifting from semi obscurity a number of the founding fathers & embedding those individuals (& the briefest of biographies) in his main discussion about the Articles of Confederation and the Constitutional Convention. The lectures have great narrative drive, I was sorry as each little chapter was completed. The accompanying pdf is.also very helpful to reinforce the lessons. Over in Amazon a reviewer has dinged the work for Guelzo's 2-3 sentences about Jefferson's.multi year dalliance with his slave, something that has become by far the majority view among professional historians these days. Nevertheless downgrading a rating for an audio book where for than 1 minute of talk in almost 20 hours seems silly. I highly recommend this work to readers. A well paced, fascinating, and very interesting set of lectures about the founding of America, the development of the Constitution and its aftermath. All 36 lectures (a half hour each) were a pleasure. Highly recommended! Not just for the intellectually curious, but for anyone looking for a great story well told. 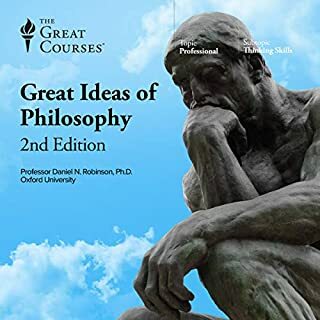 I can't praise this offering from The Great Courses enough! It excels in every way - yes, we get to know the founding fathers better (especially those lesser-known); yes, their stories are described in context, which makes for a wonderful progression from the Declaration of Independence through the Revolutionary War, to the development of first the Articles of Confederation to the improvements of the Constitution and the Bill of Rights. Perhaps the most enlightening lessons are in the controversies. How far should the Federal government go to unite and control the individual States? Should there be an individual or a ruling committee at the top of the Executive Branch, and what should he be called? Should small States have as much influence and representation as the larger ones? What about the role, if any, of religion? Professor Allen C Guelzo is an excellent organizer and lecturer. 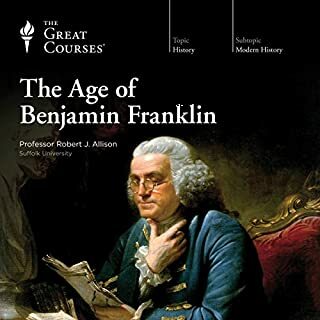 Each of the 36 sessions features a Founding Father, yes, but propels the entire story of America forward, with all the rich personalities, rivalries, and events described so well that the listener is surprised at how quickly each lecture comes to an end . There is inevitably some overlap, but very little obvious repetition. This is a nearly unequaled lesson in American history, sure, but it is so much more. Looking back, we feel awe at these exceptional (although very human) people, humility at their wisdom and often at their foresight. We also see the difficulties and controversies that come up time and again in a democracy - and that will continue to challenge our form of government. I'd like to have the power to make every American from middle school up listen to this course. I'd like to force members of our current government (hello, Congress!!) to hear every word and realize just what we have to lose if we don't heed the lessons of the past. But, (hooray and alas!) it's a free country! 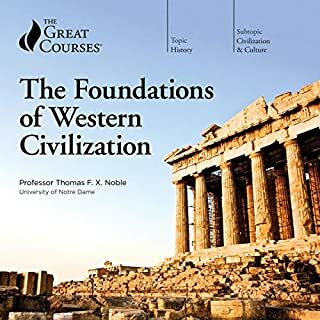 The last 10 minutes of the entire lecture series is the most important commentary (and the most relevant for our day) that I have heard from anyone since I finished consuming the Gulag Archipelago. Excellent narrator... I would also recommend his lecture series on the American Revolution. 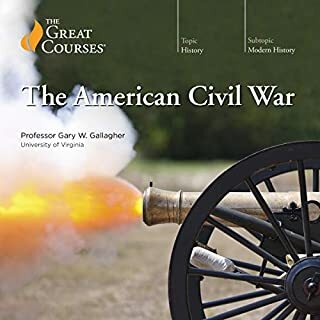 I enjoyed Professor Allen Guelzo delivery very much, the founding fathers came to life with this course. 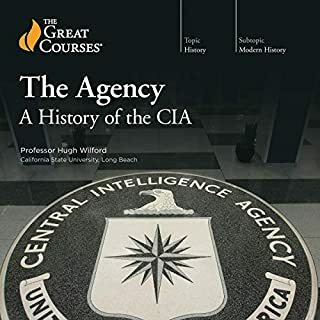 I would recommend this for anyone interested in american history. I especially licked the first part about the passing of the constitution. the struggles and the compromises that had to be made to establish this nation are beyond compare. I listened to the french revolution course and know understand that it was the constitution that saved us from a similar fate. As a Brazilian, I had never read/listen to Americans constitution with this level of detail and in a very light way. Good listening! Great selection of source material, overlaid with enough context to establish the evolving narrative, for the story to entertain, and inform. At times I needed to turn up the volume, but the audio quality and presentation are good. I particularly enjoyed the insights into Aarron Burr, and Chief Justice John Marshall. The topic should be interesting, but I couldn't bear the lecturer's speaking style. Several words in every sentence were overemphasized, as if written in all caps, and every sentence ended with an exclamation point. When someone is confident in their material, they don't need to keep bursting blood vessels to get the information across. this gave a very insightful look into the period after the revolutionary war. should be required listening for every single person in the US. Great insights into the formative years of the Republic, through the eyes and acts of Founders, famous and obscure! I love Prof. Guelzo's courses, he has just the right balance of friendliness and authority in his delivery and his material is excellent. This is no exception, and the approach makes it even better: one Founding Father (a term sometimes slightly loosely interpreted) per lecture but with the focus on their specific role in a particular development and art a particular time. This is more refreshing than a standard biographical lecture. Note though, that the emphasis is on the Constitution, not the Revolution: if you want the latter you should look to another course.